Tori welcomes instructions in all areas of chambers’ practice including crime, immigration, family, personal injury, property and housing and general civil. 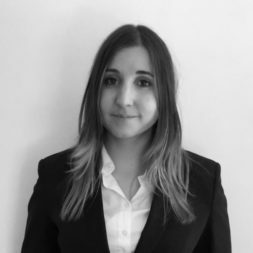 Tori’s criminal practice involves appearances in the Magistrates’ Court, Youth Court and Crown Court on behalf of clients charged with various offences, including violent crime. Tori also defends in road traffic matters including special reasons and exceptional hardship arguments. Tori is CPS grade 1 and has prosecuted in a number of cases, including appeals against conviction in the Crown Court. Tori accepts instructions in all private and public family law matters and regularly acts in private law children work, including in applications for Prohibited Steps Orders, Non-Molestation Orders and Child Arrangements Orders. Her experience includes cases involving vulnerable individuals and allegations of domestic abuse. Tori also accepts instructions in financial remedies cases and Inheritance Act disputes. Tori regularly acts in immigration proceedings before the First-Tier Tribunal, including in bail applications and asylum appeals. Tori has experience in representing vulnerable individuals. Tori has experience appearing in landlord and tenant disputes in the County Court and has been instructed by Local Authorities and private landlords in cases involving rent arrears and possession. Tori has also acted in contractual disputes on behalf of both the Claimant and the Defendant. Tori welcomes drafting and advisory work. 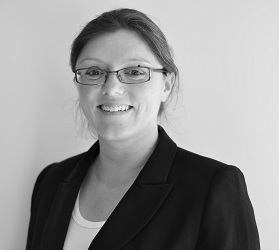 Tori accepts instructions in personal injury cases on behalf of both Claimants and Defendants. Tori regularly appears in the County Court on MOJ Stage 3 cases, including those involving credit hire, and small claims hearings. Tori also undertakes drafting and advisory work. Tori sits as a Clerk to the Panel in schools admissions appeals. Tori completed her law degree at the University of Exeter and the BPTC at the University of Law. She then worked as a paralegal, gaining experience in various practice areas including personal injury, commercial litigation, crime and family. Tori also volunteered as a tribunal representative through IPSEA, supporting and representing parents of children with Special Educational Needs. She was called to the Bar by Inner Temple in 2016.